Sydney winner The Lord Mayor (r) has joined Chris Waller’s Queensland stable and runs at Eagle Farm. Group One performer The Lord Mayor has arrived in Queensland to further boost the ranks of the in-form Chris Waller Gold Coast stable. The Lord Mayor will make his Brisbane debut in the TAB Open Handicap (1500m) at Eagle Farm on Saturday. Waller has a strong hand in the race and will also saddle Jaminzah, Veladero and Impasse, with the stablemates all drawing alongside each other in barriers nine to 12. The Lord Mayor won twice in New Zealand when trained by Lance O’Sullivan and Andrew Scott but his best run was a fourth in the New Zealand Derby last year. 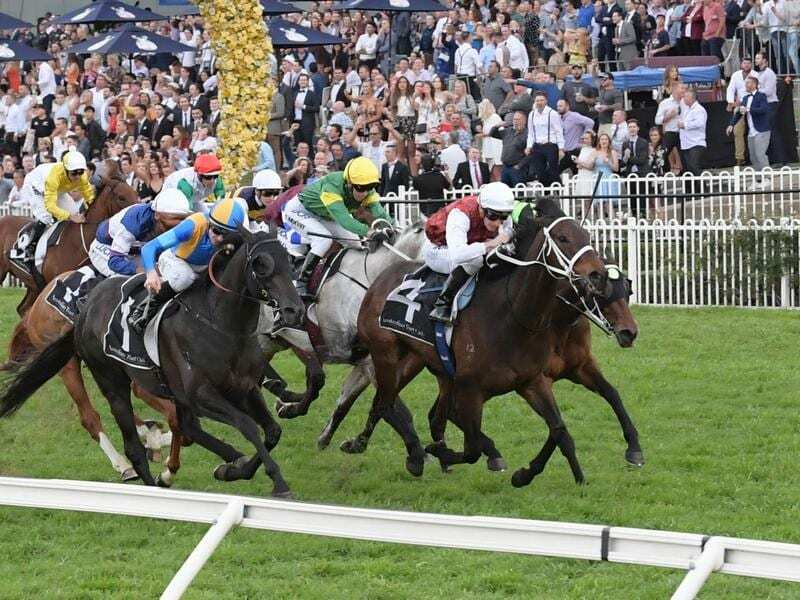 It was then decided to transfer the horse to Waller in Sydney where The Lord Mayor was well beaten in the Australian Derby and Rosehill Guineas. The Lord Mayor stayed in Sydney for a spring campaign where he won two races in the lead-up to the Group One Metropolitan in which he was unplaced. He also had a short Melbourne campaign which included a second at The Valley. The Lord Mayor has had one run since resuming, finishing ninth in the Newcastle Newmarket two weeks ago. Waller’s Queensland manager Paul Shailer said The Lord Mayor was an ideal type for Queensland staying races. “He obviously has a touch of class and had no luck in the Australian Derby when he clipped heels and while Saturday is short of his distance he should be competitive,” Shailer said. The Lord Mayor is part-owned by brothers Chas and Cam Stewart who also have likely favourite Order Again in the race. The Brian Smith-trained Order Again has struggled with injury after winning the 2017 Group Three Grand Prix Stakes but was an encouraging first-up fourth two weeks ago at Eagle Farm. The Ben Currie-trained Sword Of Justice is the early $3.70 favourite ahead of Order Again at $4.50.